Website: Click here to find EC3 on Facebook! STAR Council facilitates a Community Coalition Partnership (CCP) in Erath County focusing on improving environmental factors and promoting healthy lifestyles and success. 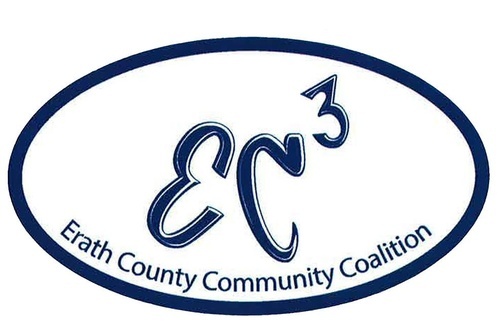 The Erath County Community Coalition (EC3) is striving to make our community a safer place to live. Our mission is to develop a safe and healthy county through community action, collaborative planning, and policy advocacy. EC3 focuses on Texas’ three prevention priorities of alcohol (underage and binge drinking), marijuana, and prescription drug abuse. If you feel this is something you can get behind, we welcome both your ideas and enthusiasm. We currently meet the second Monday of every month at noon at Fuzzy's Taco Shop in Stephenville.